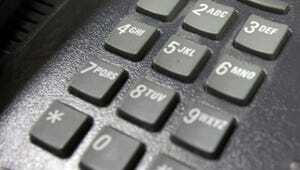 The 717 area code is running out of phone numbers, and the Public Utility Commission will hold public hearings. Phone numbers with area code 717 anticipated to run out by second quarter of 2018. Proposed solutions include overlaying an additional area code or splitting the 16-county region. The 717 area code is quickly running out of seven-digit combinations to follow it, and the state's Public Utility Commission will hold public hearings to help determine where to go next. The "Smart Hearings," which will be broadcast live on the commission's website, will be held at 1 p.m. and 6 p.m. on Aug. 9 in Hearing Room 1 of the Commonwealth Keystone Building in Harrisburg, according to a news release. The 717 area, which includes all or parts of 16 central Pennsylvania counties, is expected to run out of available telephone numbers during the second quarter of 2018, according to commission spokesman Nils Hagen-Frederiksen. Hagen-Frederiksen said the amount of available numbers is fluid with some being returned, but administrators want to figure out a solution prior to the expected exhaustion date. Neustar Inc., the North American numbering plan administrator, has recommended overlaying a new area code throughout the region, which would require all residents to dial 10 digits for each call. Another recommendation being considered is splitting the region, which would require approximately half of the area's residents and businesses to receive a new area code. The commission is seeking comments on the two proposed solutions, and it is open to suggestions for alternative solutions, Hagen-Frederiksen said. "This is such an important part of the process," he said. "We'll find out how strongly people feel about this." Residents interested in offering their comments may do so in person or via telephone. Those wishing to testify at the hearings by telephone must contact the commission's Office of Administrative Law Judge at (717) 787-1399 and provide contact information no later than Tuesday, Aug. 2. Attendance in person requires no prior action, according to the release. Hagen-Frederiksen said the commission decided to utilize the smart hearing combination that includes live streaming and telephone call-in comments because the decision affects residents from a large number of communities.